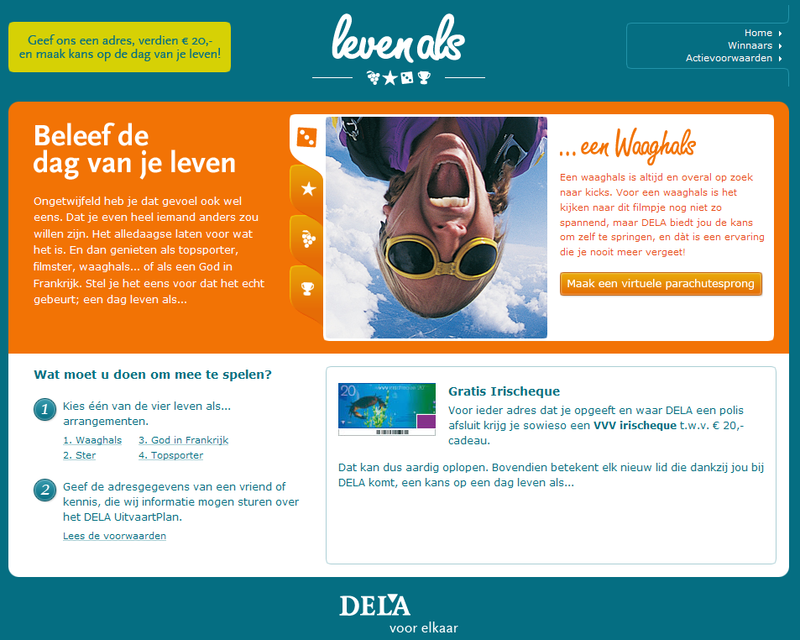 Like any web 2.0 site, leefjedoel.nl is currently in beta. During this phase we’re trying to find bottlenecks, fix the last few bugs and optimize heavy parts of the site. During development we already prepared caching for all pages, mostly fragment caching. To expire cache that’s no longer current, we use sweepers that get called when something relevant is updated. These sweepers only sweep the caches that get outdated. Because we were unfamiliar with caching and needed to see the result of our fragment caching, we used the file_store to store the generated caches. These files are stored on disk and this way you can easily see how many cache gets generated and what they contain. During the beta phase the size of the site steadily increased, more users, more goals, more groups. There was a noticeable delay whenever you updated/created something. A short investigation pointed to the cache sweepers as the culprit. The file_store for cache isn’t exactly the fastest solution to store your cache, but when you combine it with regex sweepers, things really slow down. Whenever you do a regex sweep, all files in the cache directory get returned (not that surprising if you think of it), and the regex is run against it. So even if you do a sweep on /goals, it will also return files in /users and /groups. As a result, updating your profile could take 15 seconds. We’d been planning on moving the cache to memcached all along, so this seemed a good opportunity to do it. In the next few paragraphs I’ll describe how to install memcached, get the correct Rails plugin to make memcached play nice with fragment caching and how to configure your Rails application so it uses your memcache server. The great thing about memcached is its simplicity, it requires no configuration after installation, just run it. Now we’ll get the gem to allow Ruby to talk to memcache. There are two gems that do this, Ruby-MemCache and memcache-client. memcache-client is supposed to be faster, so I used that. Rails’ fragment caching doesn’t work with memcached out of the box, you’ll need a plugin. This plugin also adds a nice bonus to the cache method in views. That’s it, you’re all done, the ‘cache’ method in your views will now use the memcache server. This will make the cache called ‘goals/large_cloud’ to expire 30 minutes after it got created. 1. MemCached doesn’t support regex based expiry of caches. You need to manually enter every cache you want to expire. You can do this in some nice methods of course. Here’s ours for expiring the cache when a user gets updated. 2. Your application will fail when the MemCache server becomes unavailable. If you ever restart MemCache, or if it crashes (haven’t seen that happen yet), you need to restart your mongrel-cluster/thin/ebb. 3. When you restart MemCache, all cache is cleared, and you need to restart your mongrel-cluster/thin/ebb. This guide only talks about fragment caching, over at Ben Curtis’ blog, you can read all about action caching. The design is similar to the Evented Mongrel web server; except instead of using EventMachine (a ruby binding to libevent), the Ebb web server is written in C and uses the libev event loop library. libev loops and waits for incoming connections. When Ebb receives a connection, it passes the request into the mongrel state machine which securely parses the headers. When the request is complete, Ebb passes the information to a user supplied callback. The Ruby binding supplying this callback transforms the request into a Rack compatible env hash and passes it on a Rack adapter. The graph describes performance of a simple rack application and compares Ebb to mongrel, evented mongrel and thin. 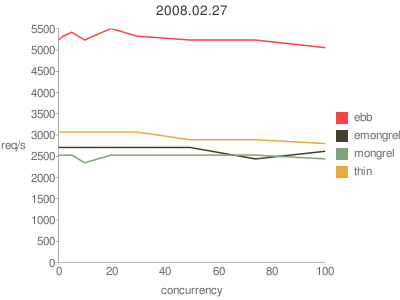 I’m more interested in performance with a Rails application and decided to do a benchmark for that. In my benchmark I used the same application I used for my previous benchmark, only this time I benchmarked some extra pages. Page 3 is a non-cached page with an N+1 performance issue. 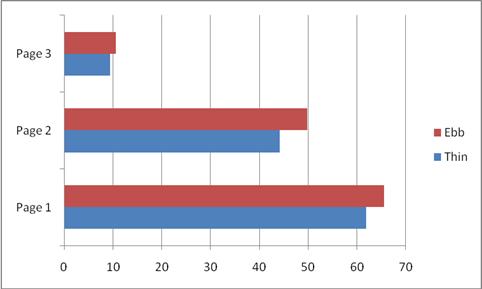 Ebb was tested using version 0.0.3, while Thin was on version 0.7.0. Both were run in a cluster of 4 behing nginx as a load balancer. Interestingly Ebb managed to outperform Thin by about 10% on every page. I’m currently helping a colleague to build a rather large community website using Ruby on Rails. 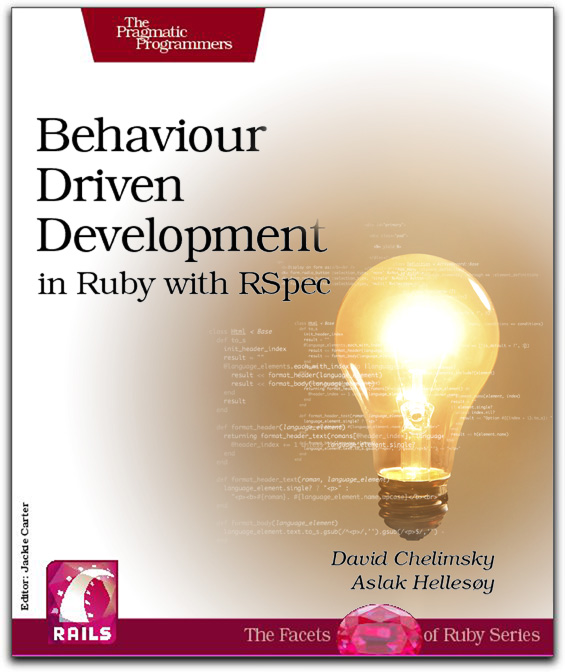 As most Rails developers are well aware, Ruby isn’t exactly the quickest language you can use to build web applications. To get a rough idea of how much users our current code would handle, I decided to run some performance tests. First, here’s a picture of the page that was used. The page has a tagcloud, site statistics and a conditional menu in the upper right corner. ApacheBench 2.0.40. To fire off a large amount of requests into the webserver. Thin 0.6.4. An alternative to Mongrel. For the benchmarks I settled on the following scenario’s. In a real production environment, you’d never see the single Mongrel instance, and certainly not in development mode. The graph will show you why. The red bar is for 50 concurrent requests, with a total of 10000. 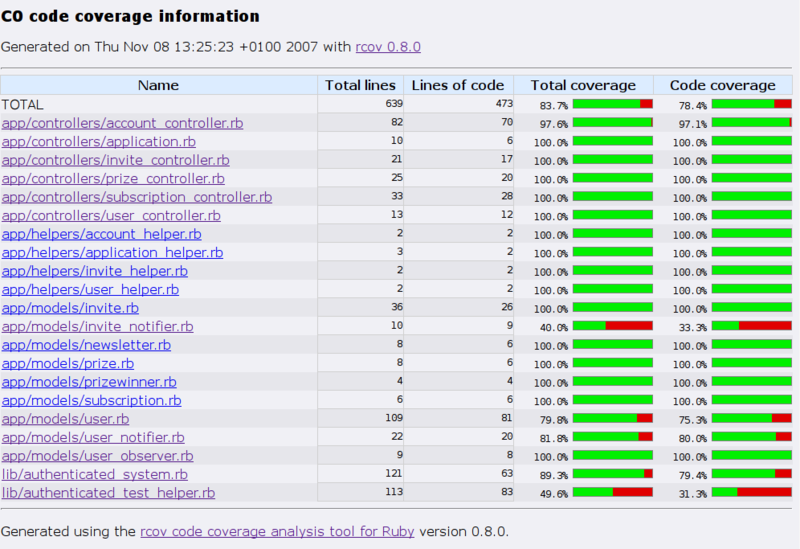 The red blue is for 10 concurrent requests, with a total of 10000. I’m pleased with the results, we still have a lot of stuff we could cache and database queries that could be optimized, so there’s room for improvement. The server that will eventually host the application runs an Apache proxy going to mongrel_cluster. I’m probably going to run some benchmarks later, to see how Apache proxy holds up against nginx. Had a rather busy week hacking together a site in Rails. My friend and colleague Iain wrote about that project on his blog. I’m very pleased with the end result, and I hope the customer will be as well.